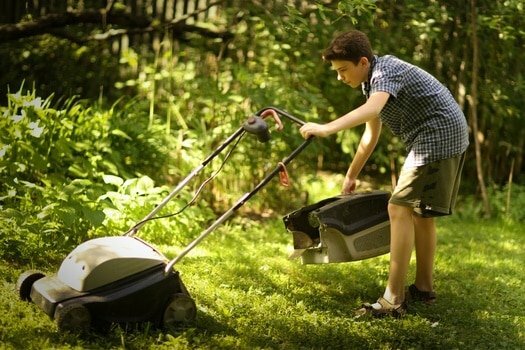 Lawn chemicals and pets are a volatile combination. Many dog walkers live in fear of their pet eating grass that has been treated with something potentially toxic, with both weed killers and pesticides often proving to be harmful to a dog’s digestive system. Did your dog eat grass treated with weed killer? If you suspect that your dog has eaten weed killer-treated grass or drank Roundup, you should take your dog to the vet straight away. A vet will purge the poison from your dog’s stomach. This article will explore the relationship between various brands of weed killers and dogs, offering advice on how you can keep a beautiful backyard without endangering the health of your pets. 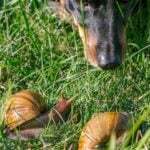 1 Are All Weed Killers and Pesticides Dangerous to Dogs? 1.3 What Should I Do if My Dog Walked on Grass with Weed Killer? 1.4 What Should I Do if My Dog Ate Grass Sprayed with Pesticide? 1.5 What Should I Do if My Dog Walked on Grass with Pesticide? 1.6 How Long Does it Take for Weed Killer? 1.7 How Long to Keep a Dog Off Grass After Applying Weed Killer? 1.9 If Glyphosate is So Dangerous, Why Use it in Weed Killer? 1.13 How Do I Know Where is Safe to Walk My Dog? Are All Weed Killers and Pesticides Dangerous to Dogs? Some products may market themselves as animal-safe and suitable for use in a garden that is populated by pets, yet it’s ingredients that tend to be most dangerous to dogs. If you are going to invest in a weed killer or pesticide, check the ingredients on the back of the bottle carefully. If it contains any of the following chemicals, put the product back on the shelf. These are all directly toxic to your dog, but other – seemingly harmless – ingredients could also do some major damage when combined. For more information on poisons found in common garden products, check out the ASPCA guide to toxicity. It is best not to use a store-bought weed killer or pesticide at all when you have pets and to instead use natural remedies for these plights. Don’t ignore the signs that a dog swallowed or drank weed killer, as it could be fatal. Even if your dog does not suffer any immediate organ failure, it is believed that these chemicals have been linked to the onset of canine bladder cancer and infertility in the longer term. It’s no secret that dogs love to eat grass, and your own pet is presumably no exception. This is perfectly normal canine behavior, but it can become awkward of the turf in questions has been treated with weed killer. In this instance, what should you do to protect your dog from harm? The first thing is to reach for your cell phone and make an appointment with the vet. There is every chance that this will not be necessary, but an animal healthcare professional will be able to offer advice of next steps over the telephone. This could be critical, as time may of the essence. Was the weed killer still wet, or do you have reason to suspect that the grass has been treated and is now dry? How much of the sprayed grass did your dog ingest? Did your dog continually eat the grass until you physically stopped them, or did they have a visceral reaction to the turf as soon as they swallowed? Does your dog habitually eat grass in this area, and if so, have they ever shown any signs of ill health as a result? You may not have the answers to all of these questions to hand immediately, but try to gather your thoughts and be prepared to respond to them as clearly and calmly as possible. Your vet will probably advise that you bring your dog into the surgery so that they can take a look at them, and may need to take action to purge their little bodies of the toxic substance. 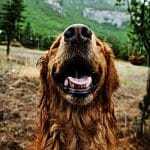 Do not be tempted to try to force your dog into vomiting after they have eaten weed killer – you may inadvertently do more damage to their already-damaged throats. What Should I Do if My Dog Walked on Grass with Weed Killer? Walking on wet weed killer is not quite as dangerous as eating it, but it could still have a nasty impact upon their paw pads if the product is particularly toxic. Keep a close eye on your dog’s paws when they come inside, and make sure that they are not demonstrating any signs of burns or redness on their paw pads. You will also have to remember that anything your dog steps in will be brought into your home and walked through the carpets – and it’s only ever one lick away from being swallowed by your dog. 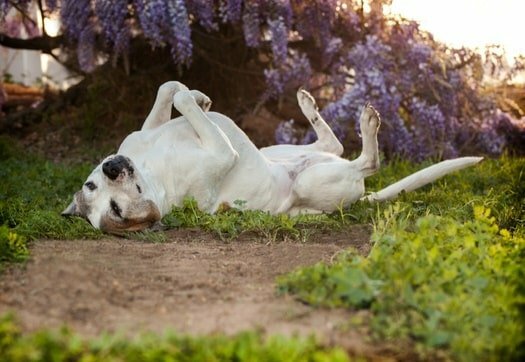 On top of this, dogs love to roll around in a unique scent – this means that they could coat themselves entirely in this potentially toxic substance. A dog whose skin has been exposed to weed killer may grow irritated, develop a rash and break out in hives – potentially leading to your dog shaking excessively in an attempt to regain their former comfort. You should always give your dog a thorough bath after they have walked on turf that has been treated with weed killer, just in case anything remains on their fur or paw pads. What Should I Do if My Dog Ate Grass Sprayed with Pesticide? Weed killer is just one kind of pesticide, but as Wag Walking makes clear, it’s just one kind. Now, many of these pesticides are helpful and should be applauded – nobody wants their green and public spaces to be overrun with vermin or other dangerous pests, as they could also cause sickness in humans and canines alike. Alas, this doesn’t mean that pesticides can be taken lightly – they can be lethal for a dog. You may have control over what chemicals are used in your own home, and a public kennel or dog park would take care not to use anything that would harm a dog. The same cannot necessarily be said for public walking paths, farmland, and privately owned parks, however, so if you have any concerns about your surroundings, do a little homework and find out what pesticides – if any – are used by the groundskeepers. What Should I Do if My Dog Walked on Grass with Pesticide? Much like with weed killer, it can be easy for walking on pesticide-treated greenery to quickly turn into consumption. If you have any reason to suspect that your dog has walked on pesticide, wash them immediately and consider making an appointment with a vet. You will certainly need to keep an eye on them to make sure that they do not start licking their fur, as that will end badly – and at the first sign of discomfort potentially caused by a pesticide, rush them to the animal ER. How Long Does it Take for Weed Killer? This will depend on many factors, including the brand of weed killer or pesticide that you use, how much landmass you are attempting to cover, the condition of the landmass, and the temperature. As a rule, it is usually safe to consider these chemicals to be dry after around an hour. If you’d like to be particularly cautious, it may be advisable to leave at least 24 hours – consult with a store colleague if necessary to gain further insight into how potent a product may be, and how long it will be before it can be considered dry enough to pose no threat to an animal. How Long to Keep a Dog Off Grass After Applying Weed Killer? It’s safe for any dog or human to walk on turf that has been treated with weed killer as soon as it is dry. Use your discretion as to whether this is the case, and always err on the side of caution. In some cases, it may be advisable to leave the grass untouched by your dog for at least 48 hours. This may be something of a challenge, as it means that your pet cannot run around the yard from the moment you apply the weed killer. Always keep your dog locked indoors during this process for their safety until a couple of days later, but it will minimize the risk of your pet falling sick as a result of swallowing the dangerous chemicals that have been applied to the turf. Roundup is arguably the world’s most popular weed killer, possibly because it is marketed as being pet-friendly. However, Roundup contains a dangerous ingredient named glyphosate. This chemical can have a hugely detrimental impact on your dog’s health, and you should never leave Roundup in reach of a pet. Always store your weed killer in a secure container that will not leak, and on a high shelf that your dog cannot reach – either to drink straight from the bottle or to knock it on the ground. Keep your Roundup in a cupboard, too. Treat it the same way as you would bleach and other dangerous chemicals that may attract the attention of a small child – or indeed a curious canine. If Glyphosate is So Dangerous, Why Use it in Weed Killer? Glyphosate is hugely effective as a weed killer, which is, of course, its primary purpose. Although dog owners place significantly higher emphasis on safety, the manufacturers of this product are more concerned with it doing what customers pay for. The manufacturers of Roundup claim that glyphosate is perfectly safe for animals to be around. This may be true on the surface of things but, as Open Earth Source explains, glyphosate is combined with other chemicals in Roundup up make a toxic compound that will not end well if consumed by a dog. Handle Roundup with extreme caution where your pets are concerned and remember that just because something is commercially available, it does not make it safe for your dog. According to studies from the Extension Toxicology Network, around 15% of dogs suffer from severe adverse reactions to grass that has previously been treated with Roundup. Never allow your dog onto grass that has treated with such a product for at least 24 hours – maybe even longer if you can convince your dog to wait that long. After you do allow your dog to run free on a Roundup-treated lawn, you should keep a close eye on them. If you spot any of the symptoms connected with weed killer poisoning in your dog, make sure that you have them checked out by a vet. It’s unlikely that a single lick of Roundup from the side of the bottle will be enough to do your dog any major harm, but it all depends on your dog’s tolerance. Do whatever you can to keep this from happening, such as keeping the bottle behind closed doors, but if you do spot your dog running their tongue down a bottle of Roundup stop them immediately. Is your dog has somehow managed to knock over a bottle of Roundup and has started lapping away, or is drinking straight from the bottle, get them to the vet. This is a scenario that will be critical and will need urgent attention. Sadly, many dogs will not make it through as they have essentially guzzled down a while bottle of poison but the sooner you manage to get your dog the attention they need, the more likely you are to have success. If your vet advises you to force your dog to vomit before you reach the surgery, you should follow the instructions laid out by Pet Health Network. You can feed your dog between half a ml and 1ml of pure hydrogen peroxide for every pound of weight. This means that a 20lb dog could have around 10ml of hydrogen peroxide – but never, ever make this decision for yourself. Some dogs will be placed in even greater danger by enforced vomiting, and you should never take that approach without being advised to do so by your vet. Whatever happens, follow the advice that your vet provides to the letter and do not delay in taking any action – we can’t stress enough that a dog drinking Roundup is a health crisis. Naturally, though, it’s better is ever avoid letting this occur in the first place by keeping your dog and a bottle of Roundup very far apart. How Do I Know Where is Safe to Walk My Dog? You will know about your backyard and what you use on your lawn, but everywhere else is a mystery. Before allowing your dog to run loose in the yard of a friend or family member, ask them if they have treated their grass with a weed killer or pesticide. If so, how long ago was this? If you often take your pet to private land that welcomes dog walkers, check with the landowner how they maintain the grass and surrounding area. If you use public parks and footpaths, check in with the local authority that is responsible for it. Of course, wildland such as forests and woodland should be free of any dangers of pesticide or weed killer, making them the perfect place to stretch your dog’s legs for a prolonged period. Purchasing weed killer and pesticides from a store will always come with many health risks. So, if you are keen to ensure that your garden looks spick and span you should consider creating alternatives. If you would prefer to create an organic weed killer that can be sprayed, follow these instructions. Wait for a sunny day with a clear sky and no wind. Mix up two cups of boiling water, a cup of white vinegar and teaspoon of clove, lemon oil or dishwashing liquid. Let the mixture cool off, but don’t let it get stone cold. Pour the mixture into a sprayable bottle. Apply the mixture to any weeds that you are keen to terminate, carefully avoiding healthy grass. This combo will destroy greenery without discrimination! Leave for around 24 hours, then let your dog roam free. When it comes to eliminating vermin or insects from your garden, you may need to get a little more creative – and in many cases, it’s probably best to let nature take its course and allow birds and other predators to take care of these invaders. Keeping them out of the house is another matter though, and may need to help of a professional exterminator. Herbicide and pesticide is a fact of life when you’re exploring green areas, and your dog will naturally encounter such chemicals when they are out and about. It’s essential that you help your pooch to stay safe, however, and prevent them from suffering ill effects from such products. If you’re vigilant and ensure that you understand what chemicals are being used wherever you walk your dog, and what to look out for in case of a problem, then you should not encounter too many problems. Just make sure that weeds and vermin are the only things that are harmed and killed by herbicides and pesticides. Why is My Dog Eating Grass All of a Sudden?